"""Prepare file to pass to dreadnaut. 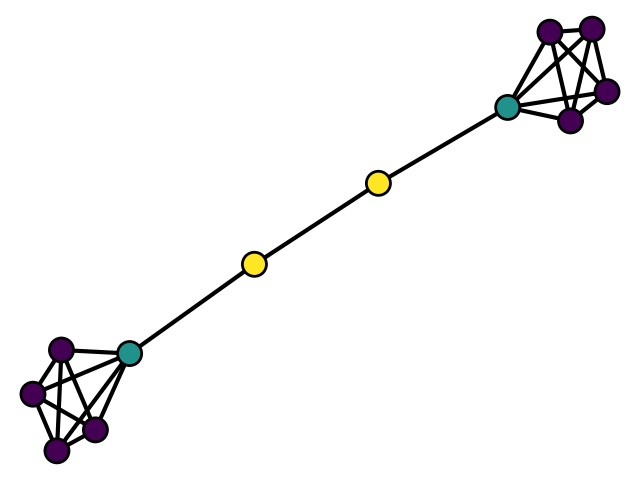 Assumes that the nodes are represented by the 0 indexed integers. line = " " + str(v) + " : "
line += str(nb) + " "
# each of these orbits into individual components (as string). # compact notation X:X+n when the n+1 nodes of the orbits are contiguous. It is easy to confirm visually that there are indeed 3 orbits.